That 1930s glamour? I thought Kate Moss wore it well the other night. While some may find this a ’70s-inspired gown, it recalled a different decade for me. 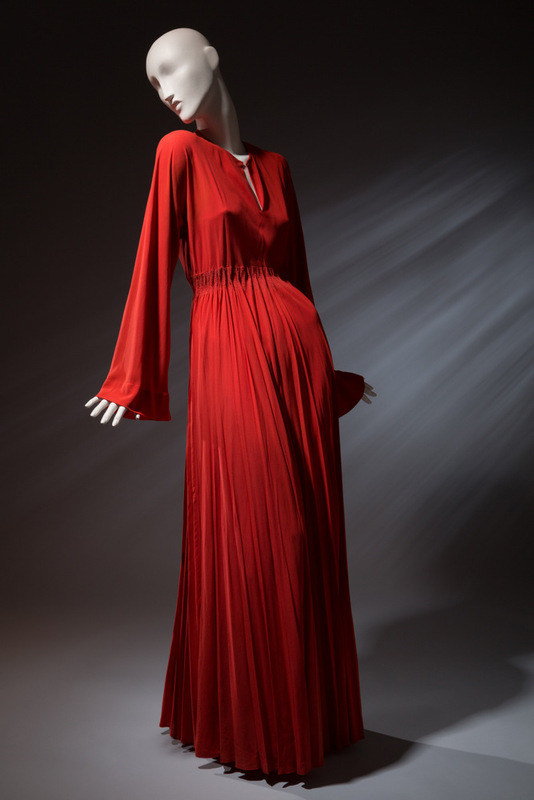 Her crimson YSL gown at the amfAR gala in Sao Paolo reminded me of the Valentina red 1930s gown on display at MFIT for the Elegance in an Age of Crisis: Fashion of the 1930s exhibition. Valentina rayon crepe dress, circa 1940, USA. Even those tassels teased that the Thirties were at play here. Mind the gap – the cleavage is Studio 54, but the tassels say so much more. Remember that Charvet robe? 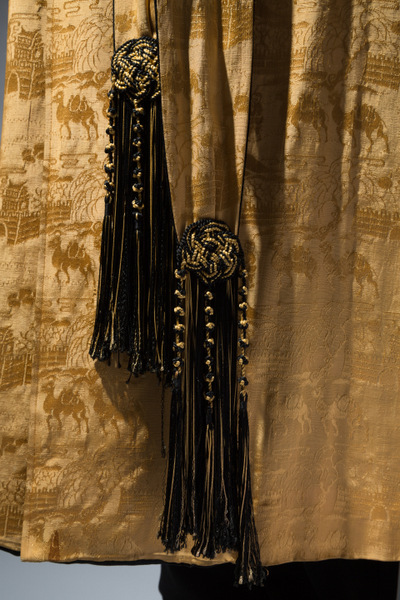 Here is a detail of its tassel belt. Charvet Dressing gown detail – yellow silk brocade Circa 1930, France. Leave it to Moss to mix her decades so elegantly. See more of Ms. Moss. She’s a fashion constant. Images: Moss shots by Fernanda Calfat Getty Images South America; others courtesy of MFIT.